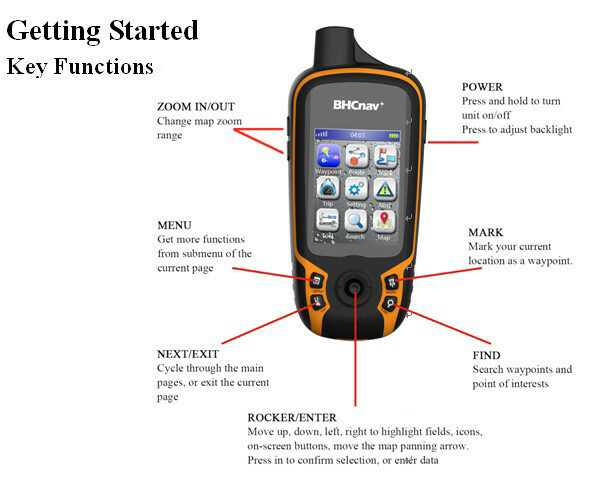 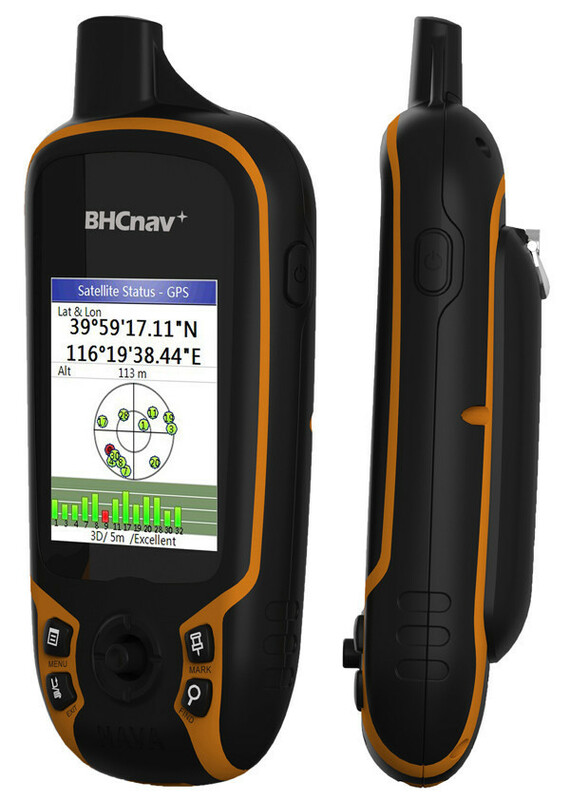 NAVA F30 is a handheld GPS and GLONASS receiver, with its high-sensitivity, WAAS, EGNOS, GAGAN, MSAS-enable GPS receiver, NAVA F30 locates your position quickly and precisely and maintains its GPS location even in heavy cover and deep canyons. 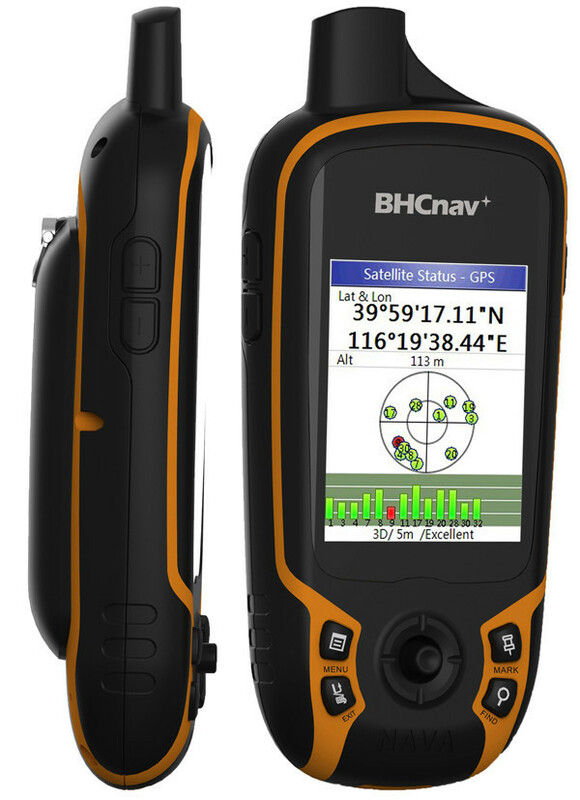 NAVA F30 has an enhanced 2.2", 65K color, 240x320 pixels, sunlight-readable display. 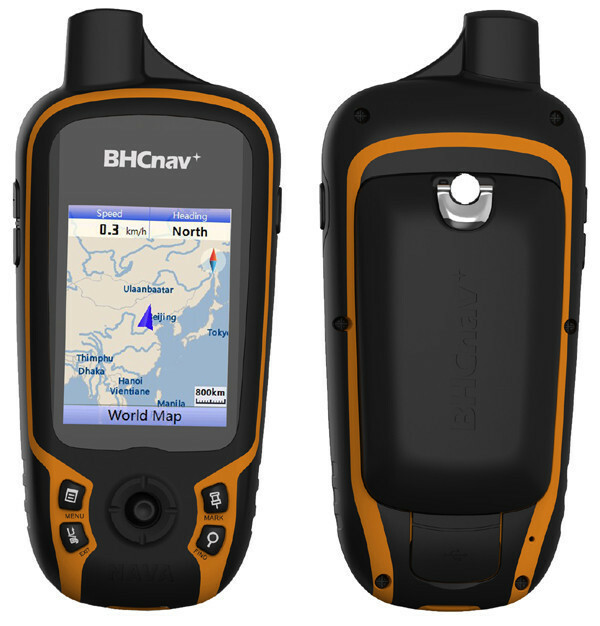 Durable, portable and waterproof. 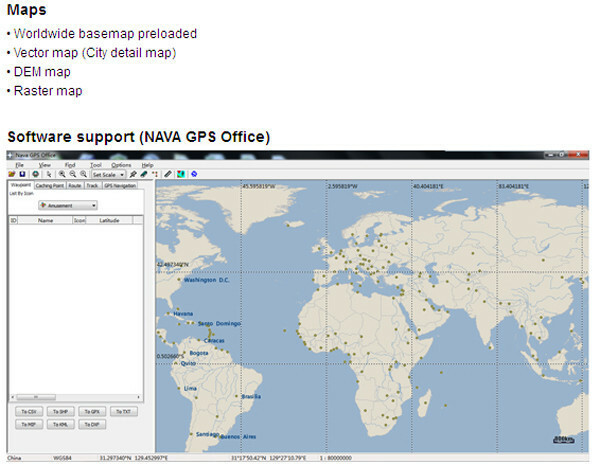 Worldwide basemap preloaded, and NAVA F30 also supports Vector map (City detail map), DEM map, and Raster map. 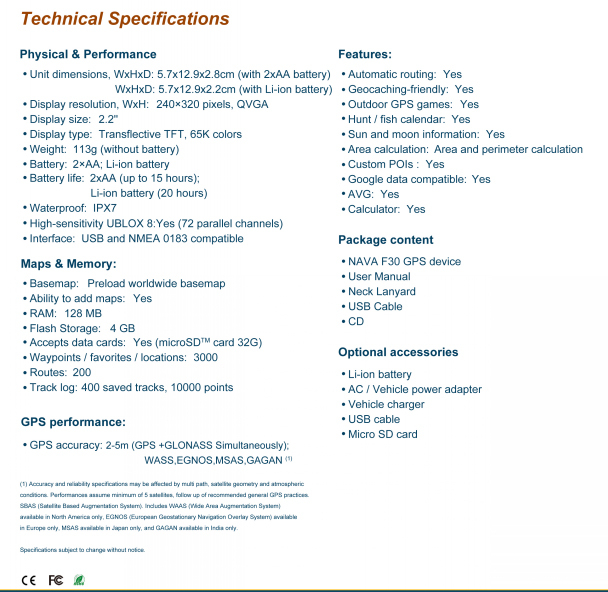 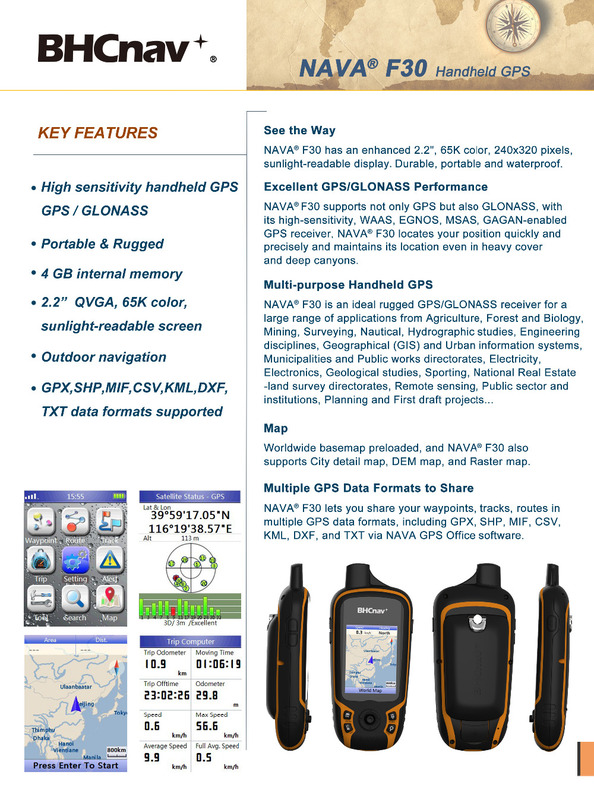 NAVA F30 lets you share your waypoints, tracks, routes in multiple GPS data formats, including GPX, SHP, MIF, CSV, KML, DXF, and TXT via NAVA GPS Office software. 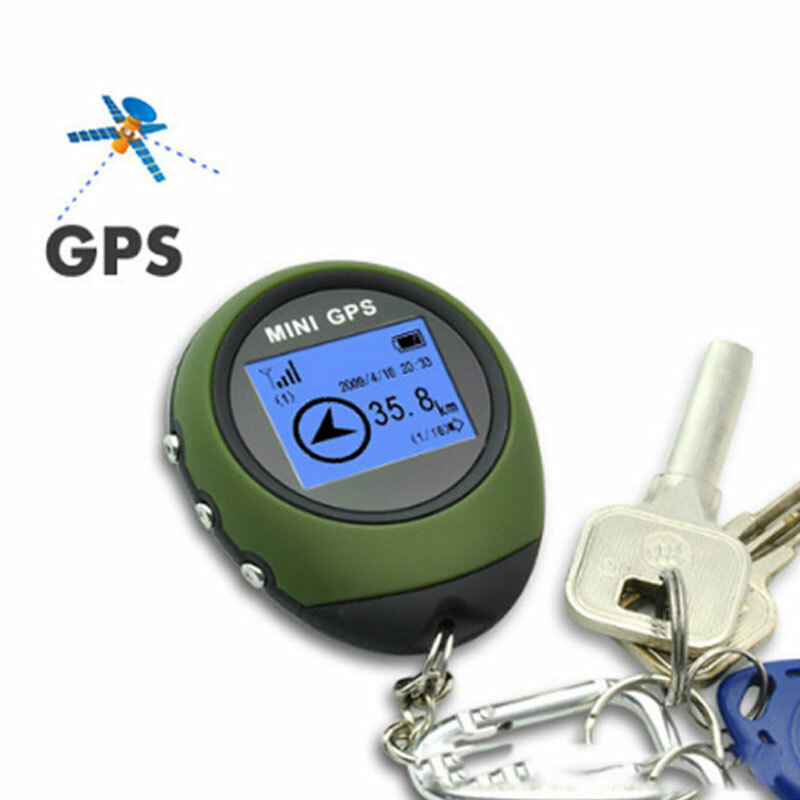 Lets you manage and export & import your waypoints, tracks and routes in multiple GPS data formats, including GPX, SHP, MIF, CSV, KML, DXF, and TXT on your PC.